Cook's Garden Favorite. Hybrid. From the Dutch breeders that developed 'Napoli', the famous 'sugar carrot', comes this latest treat that sets a new standard for flavor. The 6 inch roots are bright orange with a blunt tip, retaining their extremely sweet and juicy, crisp-tender traits even if left in the garden plot for later harvests. An excellent choice for sweet desserts like Maple Carrot Cake. Carrot, Yaya Hybrid is rated 4.8 out of 5 by 8. Rated 4 out of 5 by Yaya from Great germination, Good carrot I planted these for the first time and had excellent germination. They didn't get as big as I hoped but kinda expected it with our clay soils. I will dig deeper and add perlite before I plant them again. Overall, I was satisfied. 90 days from seed to harvest in zone 8. Rated 5 out of 5 by brenlskmd from Sweet success! I've grown carrots for years with varying success. These were plentiful, nice sized, sweet and just as pictured on the Burpee site. Harvested them late into the Fall. Rated 5 out of 5 by Dolly Marie from Sweetest Carrots! Planted YaYa Hybrid for the first time last fall. Best success I've ever had growing carrots. Grew them in containers and had no problems. Just ordered seeds for this fall planting. Rated 5 out of 5 by KJgarden from good description of the type of carrot I planted the seeds right away and they got off to a slow start. I guess the ground was too cold. I planted more seeds over them and now a have a bed of green! They are not ready to pull but they have come out in full force! Rated 5 out of 5 by JohnnyJack from Grow well in Central Florida I have had excellent results growing these carrots in Central FL. and they taste great. 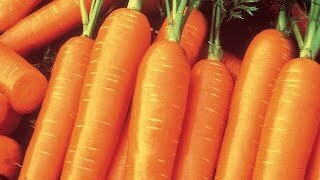 Rated 5 out of 5 by Mathchef from Best Carrots Ever I have grown carrots for 30 years and they always turned out short and very fat, as our soil is heavy clay. 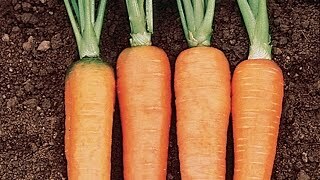 These are the first carrots that grew long and carrot-shaped, even in what could only be called poor soil. I dug them all up in October and stored bags of them in my refrigerator. We eat one a day and are barely halfway through our winter supply. They keep well, taste great, and look like real carrots. Can't wait to grow them again. Rated 5 out of 5 by MuleHead2 from Get Your Ya Ya's Here After a bad experience last year, as they did not offer my favorite Sweet Treats, I turned to these this year with marvelous results. Extra-sweet and just the right size. Of course, I see that Sweet Treat seeds are back in stock so I may just have to order both next year!!! !